You have come up with an idea to start selling smart phones online. You have a physical products yourself or wish to make an income from selling ad spots but are unsure what the next step is you should take. You may be wondering if it is possible to get your idea off the ground and start earning an income. We are here to tell you with a little hard work the classified site possibilities are endless. In this tutorial we will look at how you can set up an inexpensive classifieds website without the need for developer experience. Did you Know it Takes Less than One Hour to have a Basic Classifieds Site Up and Running? 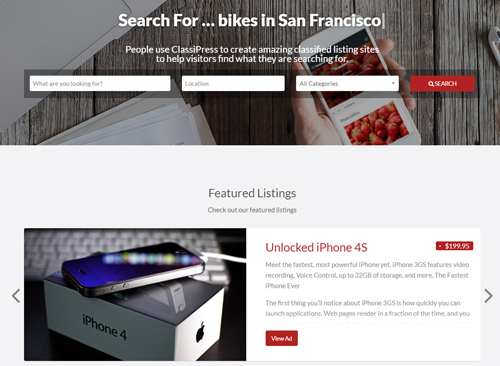 How Can I Create a Profitable Classifieds Site? A classifieds site allows sellers to post an item and buyers to purchase an item. These sites bring together a community of both buyers and sellers. The advertisements listed on a classifieds site are broken down in categories and often sub categories to allow buyers to easily locate what they are looking for. The admins of a classifieds site make a profit by either paid advertisements by the sellers or through outside advertising on high traffic sites through AdSense (or similar). When building a classifieds ad site the main target is to start earning a passive income. An income that is automatic and effortless after a period of time. A classifieds site that provides the customer with value and has a substantial amount of monthly traffic should bring in an income. While building a classifieds site that targets all niches seems like a good idea this is in fact not the case. Aiming to target one niche with your site generally builds targeted traffic and in return a steady income. There is no point trying to compete with established classified sites such as Craigslist. You are always better to start small. Step 1) Come up with a niche for your classifieds website. In this tutorial we will be taking a look at the smart phone niche. Step 2) Ensure you have set up WordPress and have secure hosting in place. Step 3) Install a Classifieds Theme. In this tutorial we will be using the ClassiPress AppTheme for WordPress. Step 4) Customize your theme and add some relevant blog content. Step 5) Promote your website to start getting traffic. Step 6) Sell ad spaces to smart phone sellers and start earning an income. Install WordPress. For those WordPress beginners, the following guide will help you get started. Choosing a domain name is an important part of setting up a successful classifieds site. Choose the appropriate extensions for your domain. If you choose to operate your classified site within one country only, you may choose a specific country extension, eg ‘.com.au’ opposed to ‘.com’. Ensure you choose secure hosting from a reputable supplier. Some popular hosting choices are explained in our hosting recommendation page. 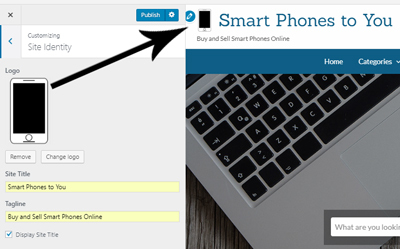 In this tutorial we are looking at how a smart phone classifieds site can be created using the ClassiPress AppTheme for WordPress. You will need to purchase, install and activate ClassiPress on your WordPress Site. Follow our documentation for the required setup of ClassiPress. After you follow the simple set up steps, you’ll be ready to start customizing your site. 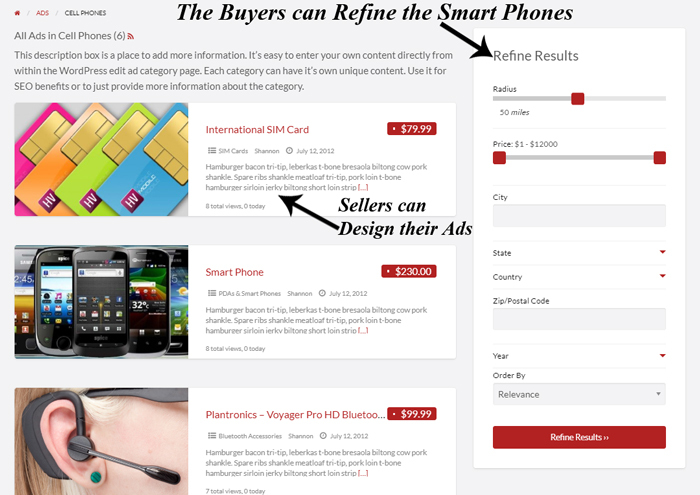 Why is ClassiPress Perfect for a Smart Phone Classifieds Site? Using the Appearance Customizer, you can easily and quickly change the look of the ClassiPress site to suit your desired audience. The screenshot below demonstrates how simple it is to edit the design of ClassiPress to suit a smart phone classified site. Below is an example category list for a smart phone classified ad site using ClassiPress. The numbers allow customers to view how many ads are under each category. Adding blog content about smart phones can increase the traffic coming to your site. For instance, if you create an article explaining how to set up and iPhone, anyone who reads your blog may then have a look at your classified ads. They may even have a couple of smart phones lying around at home that they are wanting to sell. Blog content is added onto a simple WordPress post, you can then decide if you’d like to allow your visitors to leave comments. 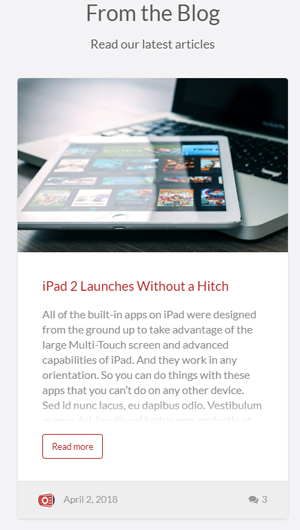 Your blog content is generally displayed on the home page of your site, similar to the iPad article below. It is a good idea to add some advertisements from the backed of your ClassiPress site to get it kick started. You may even like to sell a handful of smart phones of your own from your new classifieds site. You can quickly and easily create some smart phone advertisements by clicking on the ‘Add New‘ option under the ‘Ads‘ menu. A number of fields will be displayed that should be filled in the best way possible in order to sell your smart phone device. ClassiPress allows you to display advertisements to earn additional income. These may be Ad Sense advertisements or similar. 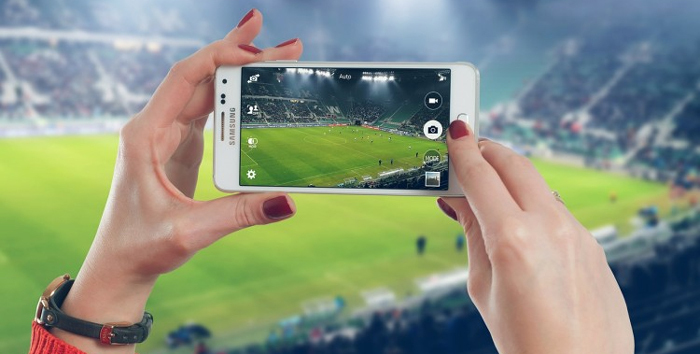 If you use target ads that relate to mobile phones, you may increase your revenue. You have now created a smart phone classified ads site where sellers can list their devices, and buyers can purchase new or second hand phones. Once you have enough traffic coming to your site, you may notice sellers begin to purchase ad spaces (if you are charging for ads). It is important to maintain your site to ensure there is a happy community of buyers and sellers. It turns out creating and customizing your very own smart phone classifieds site is easier than you thought with the help of ClassiPress. You have just created your very own classifieds site to allow others to sell their smart phones. 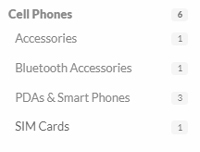 If you intend on selling some smart phones of your own the following section will be useful. Find the original smart phone box where possible. If you can find the original box, the charger and headphones not only will you be able to sell your phone for more, but it will also be easier to ship. Compare the condition and quality of your phone with others for sale online to come up with a sale price you are happy with. Your phone can potentially be worth more if it is unlocked. It may be worth while investigating the cost of unlocking your phone prior to listing it online. Ensure you back up all the data on your phone and complete a factory reset prior to selling it. Send your smart phone in the original box inside a padded envelope to ensure it is not broken during processing and handling. Always send a smart phone via a tracked postal service. Great to see AppThemes posting articles like this. Hope to see more of them for this and your other themes.